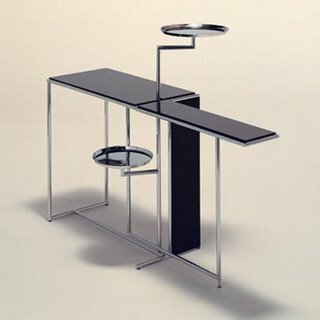 Originally a tea table with foldable table-top and two swivelling trays. Frame and trays of chromium-plated steel. Table-tops of MDF high-gloss lacquer finish in black or grey.